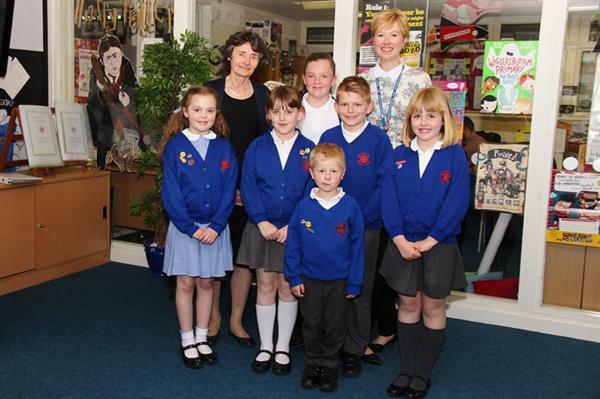 On Monday 20th April we were delighted to be visited by Baroness Estelle Morris. Baroness Morris is the Chair of the Oldham Education Skills Commission (OESC). The OESC aims to help raise local standards and aspirations so that every child can achieve their full potential. Baroness Morris spoke to the children and asked them about their aspirations. The children have made a film which will out later in the year. Baroness Morris wrote to Miss Ashton to thank Whitegate End for making her so welcome on her visit. "It was a delight to go round the school and meet the children and staff. The sense of energy, encouragement and purpose was evident and I could see why you get such good results." "Congratulations on what you have achieved and my thanks to the governors, staff and students for making us feel so welcome."